Going through a major medical operation can leave you in a weakened state, and it can be hard to get back on your feet again, especially for certain kinds of injuries. However, through our home health care in Northern Virginia, we are here to help you get your life back on track. 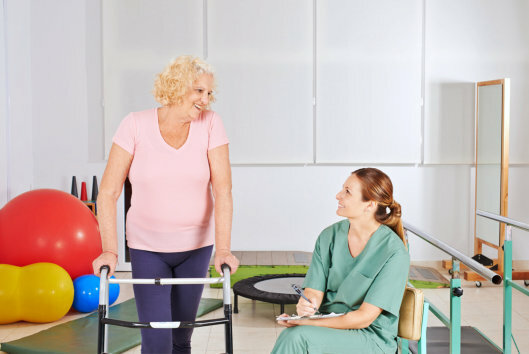 We offer a wide range of therapeutic services that are designed to restore your strength, independence, and ability to continue living the lifestyle you love. One of the first steps to getting back on your feet is through physical therapy. This is a service designed to help restore your strength and range of motion. There is a lot that is involved in physical therapy, and it can be a long process, depending on your needs or the kind of injuries you have sustained. However, this is a process that will help you through every single step of the way. Another service we provide is occupational therapy. This service goes hand in hand with our physical therapy support. Through occupational therapy, we are able to help you learn and relearn skills needed for your day-to-day life. These are skills that can be something as basic learning how to pick up a cup to using a keyboard again. This is one of the most important things to consider as this service is able to slowly restore your independence and ability to live life on your terms. Another therapeutic service we offer is speech therapy. This is a service designed to help with issues of the mouth and head. We can help you learn how to communicate, eat, breathe, and more. This is particularly useful for individuals who have sustained a head injury or have a developmental disability. Those are just a few of the many ways we can help you get back on your feet. If you would like to find out more about this or about our home health agency, please get in touch with Humble Home Health LLC for more information today. This entry was posted in Healthcare and tagged Home Health, occupational therapy, physical therapy, speech therapy, therapeutic service. Bookmark the permalink.